The project has helped in minimizing the outbreaks of waterborne diseases like typhoid, which were a threat to the school. We are now able to clean the latrines twice a day, hand-washing behavior is observed both by pupils and teachers, and the classrooms are frequently cleaned. 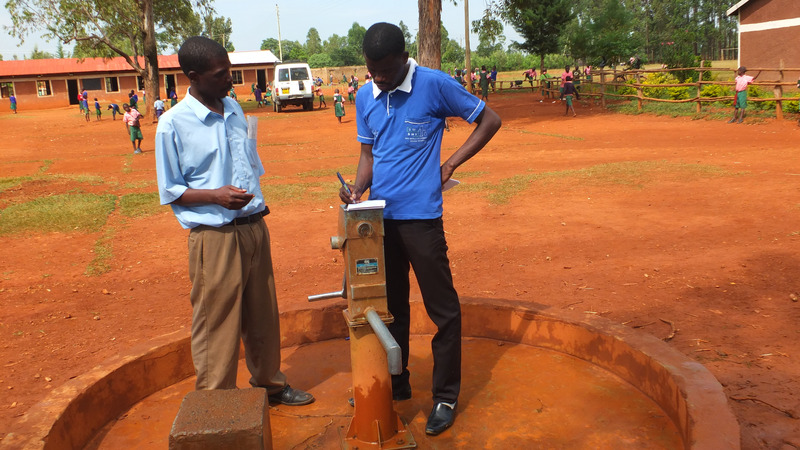 A year ago, generous donors helped rehabilitate a well with Chimoroni Primary School in Western Kenya. Because of these gifts and contributions from our monthly donors, partners can visit project sites throughout the year, strengthening relationships with communities and evaluating the actual water project. These consistent visits allow us to learn vital lessons and hear amazing stories – we’re excited to share this one from our partner, Paul Weringa with you. 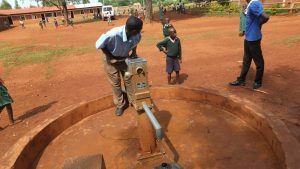 Before this well was rehabilitated to provide clean water, the school was facing a serious problem with outbreaks of waterborne diseases like typhoid and diarrhea. Not only that, but girls and boys using filthy latrines also faced other hygiene-related complications. Since the training was conducted at the school, and hand-washing facilities distributed, the situation has improved. The latrines are now washed frequently and hand-washing is observed. We met senior teacher Amos Sikolia at the well to talk about its affect on the school over this past year. “The project has helped in minimizing the outbreaks of waterborne diseases like typhoid, which were a threat to the school. We are now able to clean the latrines twice a day, hand-washing behavior is observed both by pupils and teachers, and the classrooms are frequently cleaned. The project has enabled us to prepare meals in the kitchen without problems. Initially, pupils were sent out to bring water for kitchen use. Today, we don’t have to send pupils anymore but use the support staff since we have the project within our school. We started a tree planting program in our school and this is doing well because we have water available. Even during the past season where it was very dry, we were able to water the trees,” he shared. 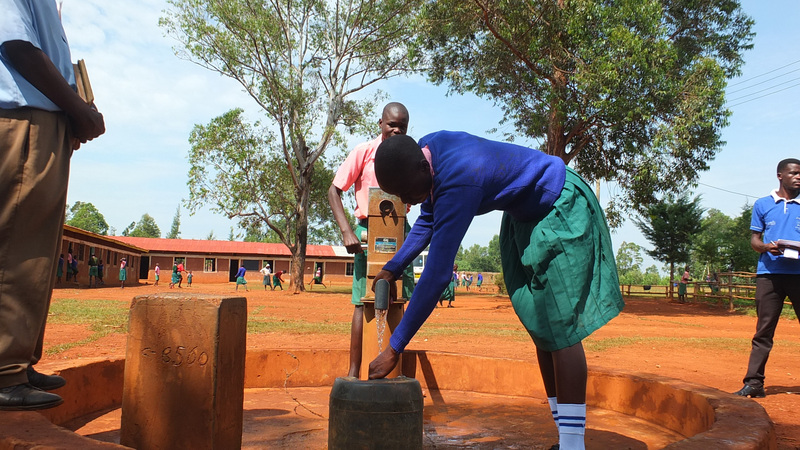 Millicent Simwa fetching a jerrycan of clean water with the help of her classmate. When you invest in The Water Project, you're investing in people like Millicent Simwa. Your gifts help us reach more communities with the gift of clean, safe water. And every drop helps unlock potential.